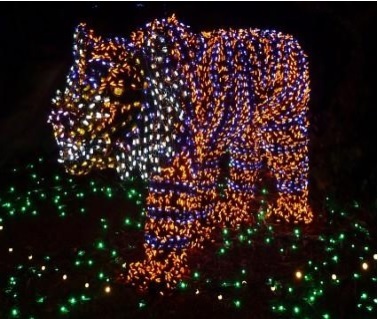 Zoo Lights is at the Houston Zoo which transforms into a Zoo Winter Wonderland. The Houston Zoo has displays of more than 2,000,000 of colorful lights and festive holiday music. You can sip on hot chocolate while you stroll around the Houston Zoo with twinkling lights, a Holiday train village, enchanted forest, interactive talking zebra and life sized animated animal sculptures. Runs November 17th through January 13th. 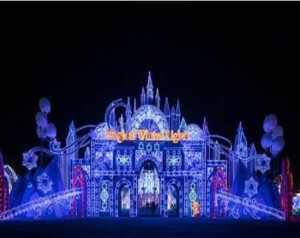 Magical Winter Lights is at Sam Houston Race Park. You can explore Worlds of magical wonder with the lighted world globe, prehistoric animals, and magical lanterns. 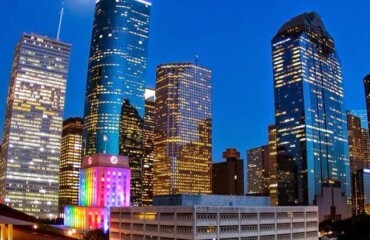 The festival is the largest holiday light festival in Houston and the largest lantern festival of its kind to take place in the U.S. The festival has a seven themed areas representing America, China, Europe, Asia, Australia and more. The time is November 17th through January 6th. Festival of Lights is at Moody Gardens with an Iceland Rain forest Holiday. Moody Gardens has a one million light display with animation and sound-enhancement during the festival. There is an outdoor ice skating rink, train rides, live entertainment, and ad 100 foot arctic slide. A skilled team of master ice carvers have carved a one mile trail for your journey through the rain forests of the world to see monkeys, beautiful birds, incredible butterflies, colorful orchids and so many wonderful creatures. A 100 foot ice slide takes you from the tree tops through to the forest floor, ancient ruins and rivers edge to show you the most incredible Iceland rain forest. The time is November 17th through January 6th. 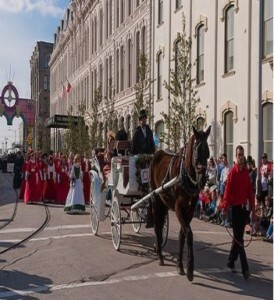 Dickens on the Strand is in Galveston. The annual Dickens on the Strand is a Victorian Holiday festival that recreates characters from the Dickens novel. You can dress up to for the festival celebration. Parades, strolling carolers, bagpipers, jugglers, costumed vendors and live entertainment fill the strand with sights and smells that take you back to the Victorian time. 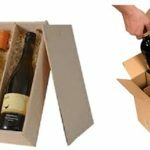 The time is Nov 30th through December 2nd. 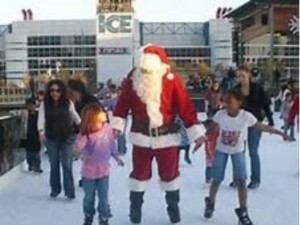 Holiday at Discovery Green has a 7716 square foot outdoor ice skating rink, magical holiday lights, decorations, holiday concerts and movies. The event is November 16th through January 27th. Old Town Spring Christmas. 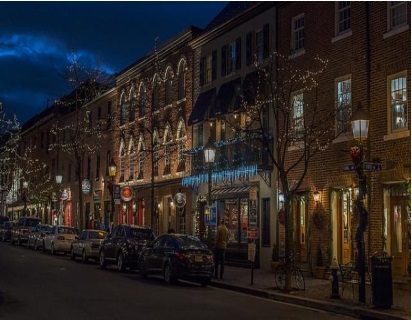 The annual Home for the Holidays returns in historic Old Town Spring which features a spectacular display of holiday lights, entertainment and photos with Santa every weekend. Every weekend. The Nutcracker. The traditional magical Christmas ballet is performing at the Hobby Center for the performing Arts in downtown Houston. The dates are December 1st through Dec 29th. A Christmas Carol is performing at the Alley theater with a retelling of a Charles Dickens classic story. 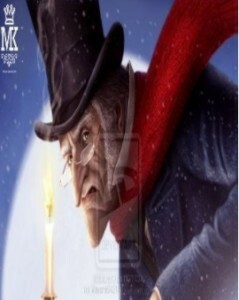 Scrooge goes through three ghostly spirits that visit him on Christmas Eve. The date is November 26th through December 30th. 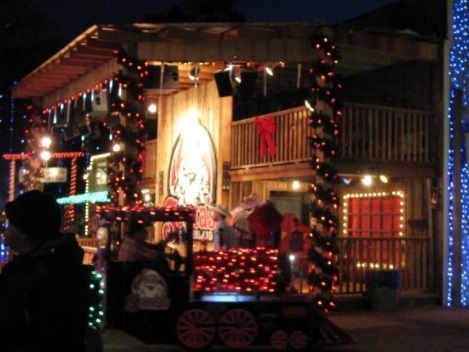 Santa’s Wonderland is a Texas Christmas experience located in College Station. 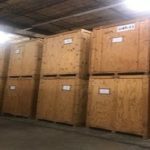 They have Santa’s hay ride tours, limo carriage rides, and lighted train rides journeying through the magical light filled adventure inside Santa’s Wonderland. 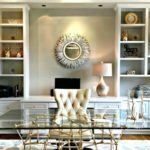 They have live music, a wonderland winery, and 10,000 square feet of shopping, nightly Texas snow, a food village and cozy campfires. Children can see Santa, visit a giant Texas sized snow globe, slide down a mountain slide and ride a toboggan chute. They are open till Dec 30th. Polar Express is in Palestine Texas. You will enjoy a magical train ride on a 25 mile journey through the Piney w Woods of East Texas. The magical story comes to life when the train departs the depot to the North Pole. Your children will hear the music from Polar Express while being served hot chocolate and cookies. They will also be read the story Polar Express. At the North Pole Santa greets all the children and gives them the first gift of Christmas a silver sleigh bell. The silver sleigh bell can only be heard by those who believe. Christmas carols are sung on the way back to the depot. You will enjoy the magical train ride of Polar Express. The dates are November 17th through December 27th. 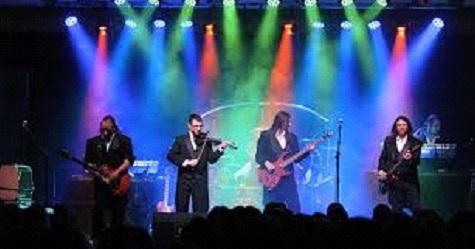 Trans-Siberian Orchestra is December 21st at 3:30 and 8:00 p.m. at the Toyota Center Houston. Trans-Siberian Orchestra is an American rock band founded in 1993 by producer, composer and lyricist Paul O Neil. 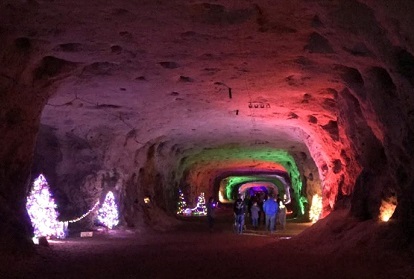 Christmas Caverns is in the Texas Hill Country. Holiday festivals are shown in the scenic Texas Hill Country. Children can visit Santa Spelunker Claus, hear Christmas Carols echo though the underground cavern, and round up reindeer in an outdoor maze. When the sun sets, you can go on a Holiday hayride through the hills and enjoy lighted Christmas lights and Christmas music. At the Christmas Campfire, you can roast smores and sing Christmas carols with your family surrounded by a 30 foot Christmas tree. The dates are December 1st, 2nd, 8th, 9th, 15th, 16th 22nd and 23rd.